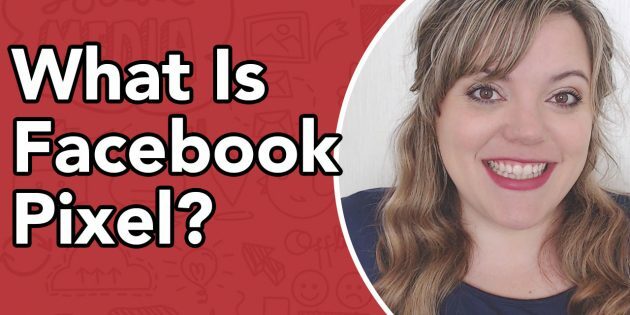 What Is Facebook Pixel? // Facebook pixel analytics is Facebooks version of Google Analytics that helps you integrate and track website traffic into your Facebook Ads manager services. There are several ways you can use data collected from Facebook pixel tracking to refine your Facebook advertising strategy. The Facebook pixel allows you to monitor how people interact with your website after viewing your Facebook ad. You can even track customers across their devices so you know, for example, if people tend to see your ads on mobile but switch to a desktop before making a purchase—or maybe it’s the other way around. This information can help you refine your ad strategy and calculate your return on investment. Pixel tracking data allows you to show targeted ads to people who have already visited your site. You can choose to get really granular here—for example, you can show people an ad for the exact product that they abandoned in a shopping cart or added to a wishlist on your website. This capability is why you should create a Facebook pixel now, even if you’re not using Facebook ads yet—so you have retargeting capabilities from your very first Facebook ad. Facebook can use its targeting data to help you build a lookalike audience of people who have similar likes, interests, and demographics to people who are already interacting with your website, helping you expand your potential customer base.